The Department for Environment, Food & Rural Affairs have tasked all the IFCAs with assessing hand-gathering and bait collection activities within all European Marine Sites, which provide protection for important habitats and bird species, by the end of December 2018. 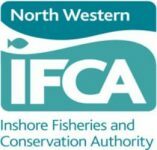 NWIFCA has its own data on activities but in order to improve the quality of the assessments we are asking for help from anglers and fishers. This will help to ensure that any risks from these activities to conservation features within the sites are identified correctly and that if management is required it is appropriate to the level of risk. NWIFCA have created a questionnaire for anglers throughout the district who collect bait. Your responses will help us get a better understanding of the areas and species that are popular for bait collection and the amounts that are collected. If you collect bait we encourage you to complete the questionnaire and return it to us. Only anonymised aggregate data will be published.